Breaking news! You have just been served with a fresh portion Mom’s Spaghetti!!! Eminem’s fighter plane strikes again. Marshall released a new freestyle where for the whole 11 minutes he spits and shreds, going through various topics, including his non existent competition. In his “Kick off” freestyle, he demonstrates his emaculate skils: every piece of this masterful performance has various rhyme schemes, flow, verbal techniques and it all boils down to a show of rhymes and punches that’ll send you on a hell of a ride! Not only does Shady once again prove his dominance, he challenges everybody in the game to take a shot at him. Not that anybody will dare to except the challenge, except the ghost of MGK. Em has launched his career as a battle MC, that’s his nature, his inner demon. 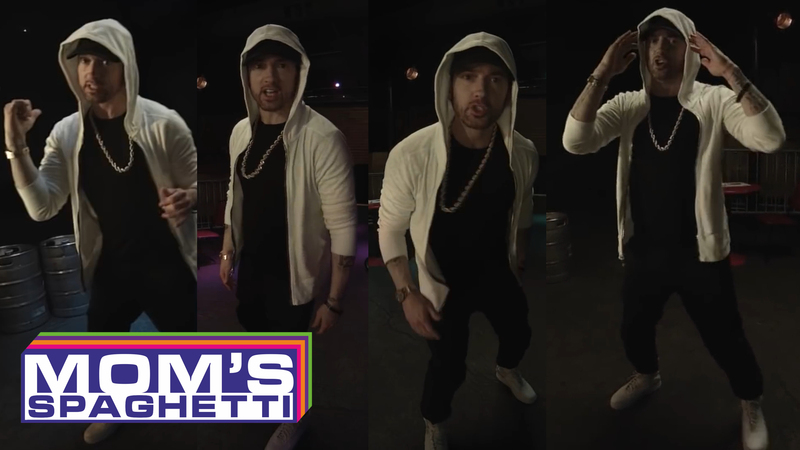 Check out Eminem’s new “Kick off” freestyle in the bio to this video. Subcscribe for more ePro news.